Another simple & streamlined way to earn revenue with your content on SourceAudio! 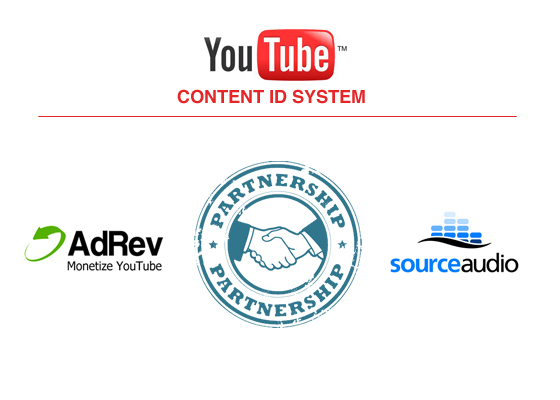 We're proud to announce an exciting new partnership with AdRev, a leading YouTube monetization administrator and ally of anyone who owns music copyrights that are found on YouTube. Through this new partnership we now have the ability to automatically sync your catalog with the YouTube Content ID System. When new music is added to your site it automatically gets synced to YouTube's Content ID System and claimed on your behalf. AdRev then monitors, optimizes and administrates the ad campaigns and tracking on your copyrights. Every quarter you will receive a check for the ad revenue (minus small admin fees) your content has earned through the hundreds, thousands, hundreds of thousands, or millions of plays you've accumulated on YouTube. Every unofficial commercial, trailer, show segment or other content your music appears in can now be monetized and the ad revenue goes straight to you! AdRev is a program that administrates the monetization of YouTube’s Content ID system on behalf of music and video copyright holders (record labels, publishers, production music libraries, TV studios) by serving advertisements on YouTube videos. In short, we find every YouTube video containing your content, run ads over and / or next to the videos, collect the advertising revenue from Google, and remit your portion of the ad revenue to you. Those who opt into this new program will have access to a powerful reporting dashboard, through which they can monitor their monthly plays, revenue earned, total number of copyrights claimed, and more. You will have total transparency and full control over your copyrights and corresponding ad revenue. To get started, simply call or email your main SourceAudio rep/contact and we'll get you started. There's nothing more for you to do than simply say, "Go for it! ".